At Spectrum Mental Health we understand the importance of your personal or workplace mental health needs. As the leading provider of private mental health services, our nationwide network of psychologists and psychotherapists are experienced and skilled professionals in their fields. We work with the best to offer you the same. 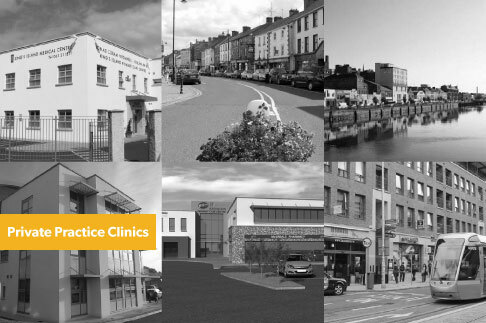 We are Ireland's largest network of psychology and counselling clinics, with clinic locations spread across Cork, Dublin, Kildare, Kilkenny, Westmeath & Wicklow. Build a more resilient team and help them to optimise their mental health, becoming healthier, happier and supported in their workplace. Our goal is to provide every client with the personalised type of support that helps them overcome any difficulties in a straightforward & efficient way. We aim to ensure each client feels heard and comes away from sessions feeling they understand more about the issue that may be occurring, as well as positively feeling progress can be made. Our team use a variety of therapeutic approaches, with clinicians determining an individualised care plan which will effectively work for each client during and outside of sessions. An important part of the process is determining what it is you are struggling with and what may help you feel better – though it’s perfectly normal to not understand exactly as you start the process. Prevention programmes are associated with a reduction in depression & anxiety diagnoses and symptoms at a 12 month checkup when individualised. Since 2007, the number of people with a mental health issue seeking treatment has increased significantly, from 1 in 4 to 1 in 3. Let us help you put together a tailored mental health strategy that works, providing you with the training and services needed to create supported and engaged teams, regardless of company size or budget available.